Orcas Island is the horseshoe-shaped, largest island in the San Juan Island chain. It is situated north of San Juan and Lopez Islands in San Juan County, between the coast of Bellingham, Washington, and Victoria, British Columbia. There are 4,500 residents and only a handful of small "villages", namely Deer Harbor, Orcas, Olga, and Eastsound. Ferry service to Sidney, BC, or Anacortes, Washington, is available from the village of Orcas at the south end of the island. Orcas Island is well known for its lush, green beauty and vistas of the northern Puget Sound region. Residents and visitors alike can find a wide variety of recreational opportunities such as whale watching, kayaking, biking, and bird watching with over 250 species; hiking Mount Constitution in the 5,200 acre Moran State Park is also a favorite, and scenic, pastime. 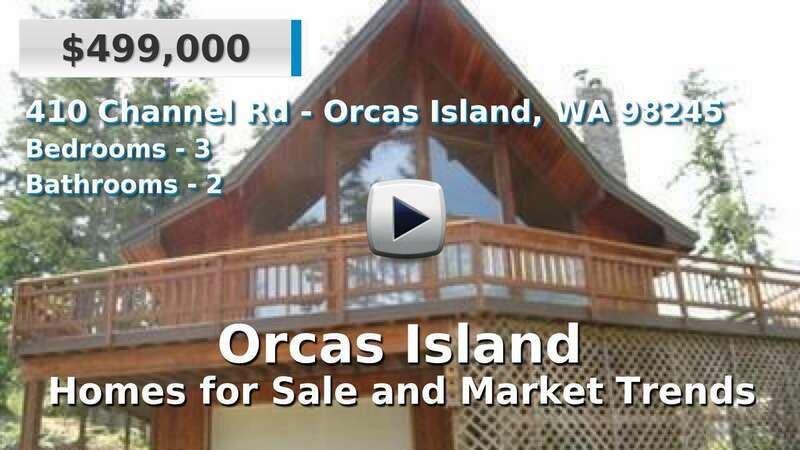 Homes for sale on Orcas Island are typical for the islands in the Pacific Northwest, ranging from well-established to custom built to luxury estates; but unlike smaller islands, Orcas homes tend to come with large lots, acreage or multiple parcels. 4 Beds | 3.5 Baths | 3991 sq. Ft.
3 Beds | 2.75 Baths | 2943 sq. Ft.
2 Beds | 1.5 Baths | 1340 sq. Ft.
3 Beds | 2.5 Baths | 2705 sq. Ft.
2 Beds | 2.75 Baths | 2070 sq. Ft.
2 Beds | 2 Baths | 2606 sq. Ft.
3 Beds | 2 Baths | 1500 sq. Ft.
2 Beds | 0.75 Baths | 884 sq. Ft.
3 Beds | 1.75 Baths | 1313 sq. Ft.
2 Beds | 2 Baths | 2328 sq. Ft.
6 Beds | 3.5 Baths | 2438 sq. Ft.
2 Beds | 0.75 Baths | 1422 sq. Ft.